Dzisiaj oddajemy naszego bloga w ręce naszej październikowej gościnnej projektantki. Zobaczcie co przygotowała dla Was Veera. 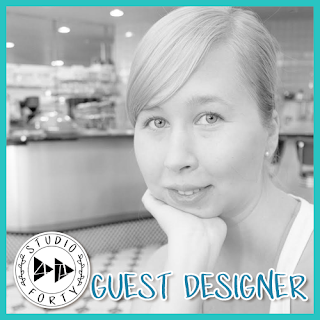 Hello, it’s Veera here today and I’m excited to be a guest Designer for Studio Forty this month! 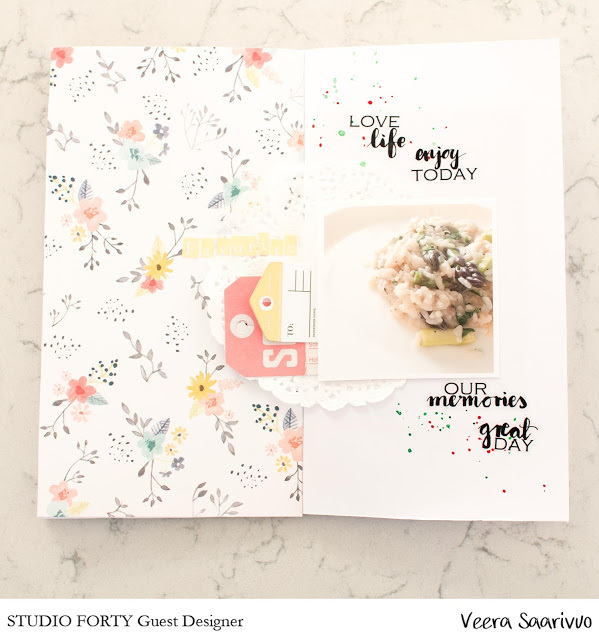 Today I want to show you my first project that I did with the beautiful Studio Forty products. Lately I have loved the format of traveler’s notebook. 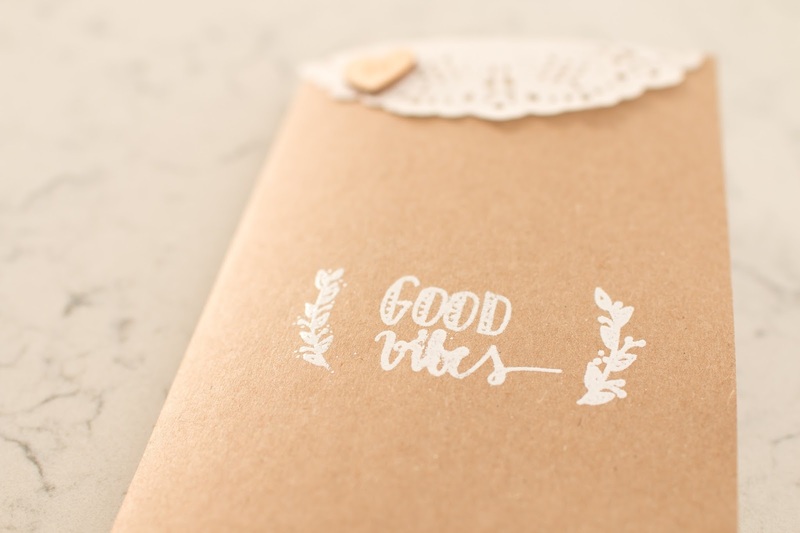 As my first project I wanted to decorate a simple TN insert with stamping. 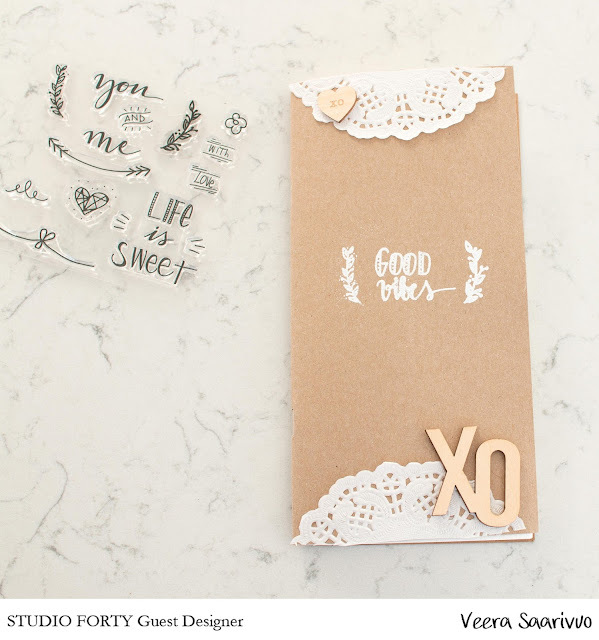 I really love the effect of white embossing on a Kraft background so that’s the way I went with this cover. My style of paper crafting is very clean and simple. I used only few elements on this cover to keep it simple. I added doilies to the edges to help eye to focus on the embossed title. I love creating traveler’s notebook spreads. These notebooks are my way of documenting our everyday life. 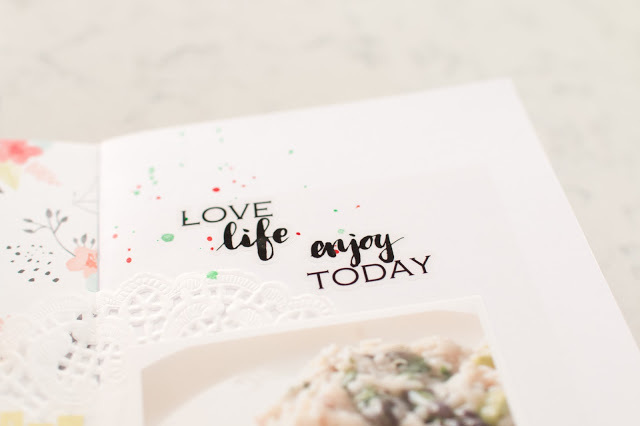 I love the simplicity of these spreads and also the fact that they are quick to make. I have been scrapbooking a lot of traditional 12x12 layouts so lately I have enjoyed this different size and format a lot! 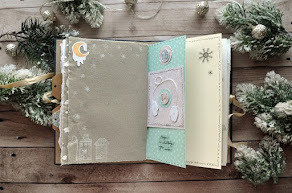 I used the beautiful clear stickers by Studio Forty for Traveler’s Notebook spread. 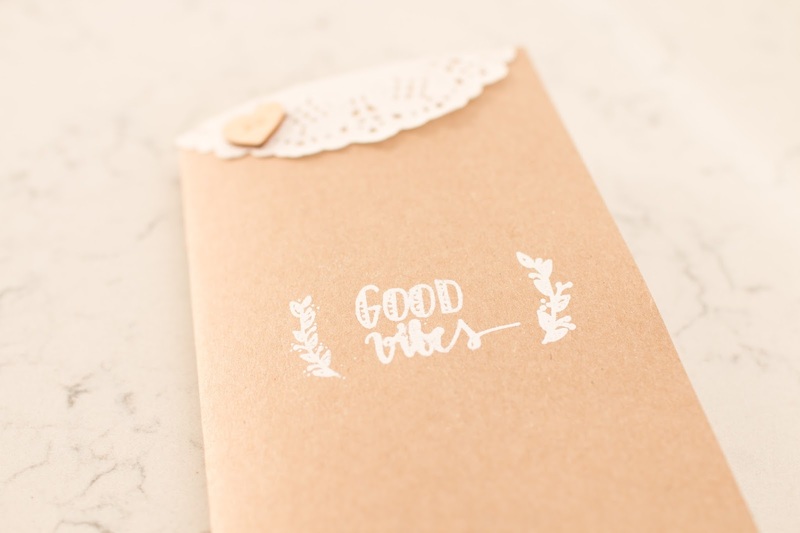 Have you tried creating traveler’s notebook spreads? I hope you liked my first project and I can’t wait to share my other projects with you later this month!